Wednesday, Nov. 19, 2014 6:30 p.m.
Co-sponsored by the Office of International Education, iPALS, Belk Library, and Multicultural Student Development. 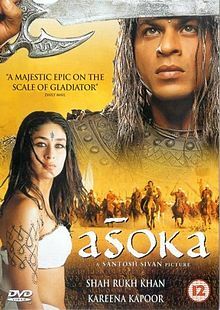 Young prince Asoka survives two assassination attempts and then, in hiding as a commoner, meets and marries the lovely Kaurwaki. When Kaurwaki is killed, Asoka swears vengeance, battling his way to the Imperial throne, until only one kingdom, Kirgal, stands in his way.